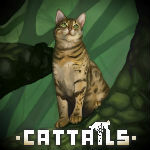 Video games | Cattails: Become a Cat! When I played the Nintendo Wii more, I liked Animal Crossing and Super Smash Bros. I am absolutely hooked on the Assassin's Creed series (PS3 and 4). I think those are the games I play the most. 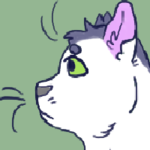 I don't play much on the PC anymore, but I still play some Warrior Cats: Untold Tales on my laptop every so often. Oh man, I used to play video games a lot more a few years ago, but then I started getting really busy so rip. I mostly play games on my 3ds, to be honest. I'm a very unmotivated person, so sometimes my motivation isn't even enough to turn my laptop on. But games that I enjoy are Pokemon, the older paper Mario games, the legend of Zelda, Rune Factory, Harvest Moon, and also the Tales of series, though I've personally only played Abyss so far. I also played Skyrim and Minecraft for a while, but have mostly lost interest in those. I did recently buy Stardew Valley, though, and that looks like a lot of fun, haha. I use to play a lot of games when I was younger now I'm just a nintendrone. I'm really into the Pokemon, Metroid, Zelda series and I've been keeping up with the latest titles. I got the switch and currently, I'm absolutely loving Breath of the Wild. I really enjoyed the combat and it put me in a mood for more abuse, so inbetween sessions I've been playing Dark Souls on pc. I also have a 360 which was mainly for all the Bethesda games although after Skyrim, despite how much I played it, it had too many unresolved problems, so now that console is unplugged and I got everything on steam, and now I enjoy modding. As a kid, I played Sims/Sims 2, Battlefield 1942/Vietnam/2/2142, Age of Empires, Age of Mythology, Resident Evil 4, GTA San Andres, and Pokemon. I am still a fan of the newer games in these series. As an adult, I play on PC, PS3, and 3DS. On PC I play Stardew Valley, The Forest, Minecraft, Undertale, and Firewatch are a few examples. For PS3 I haven't really gotten around to playing many games for it but Skyrim, Beyond Two Souls and The Walking Dead Video Games are great games with nice stories. When it comes to games my main want is for it to have a good story or at least a lot of depth to it. Something worth exploring. On the 3DS I like Pokemon X and Pokemon Moon, Fantasy Life, Pokemon Super Mystery Dungeon, Fire Emblem: Fates, Story of Seasons/S.o.S: Trio of Towns. I'm pretty much just a casual gamer, I don't take it too seriously and mostly just like going through a nice story or a game with lots of exploration involved. does anybody here like Overwatch?? I think Overwatch is a very fun game and i like all the diversity and repersentation! im also a really big fan of nintendo games like pokemon, fire emblem, animal crossing, monster hunter, and some others. i really like playing minecraft on my pc as well!! its such a fun game. I got the new Crash Bandicoot game on Friday! All u guys play such cool games amd im just here like,, I just play a lot of indie games tbh.. I play a lot of Spore (RIP Maxis Studios), Starbound (I recommend this to any terraria fan), Stardew Valley, and Meadow these days!! I also enjoy playing Minecraft when im bored. I also play Splatoon a lot bc its so cute and fun!! flash games as for me are not so bad.. it helps to steal your time periodically alawarland.com/games/genres/puzzle-logic/ for instance.. I play Minercraft, (PC) Stardew Valley, (PC) Spore, Shelter, A lot of Iphone games and WCUT. sorry. the link isn't working . here it is playamo casino .